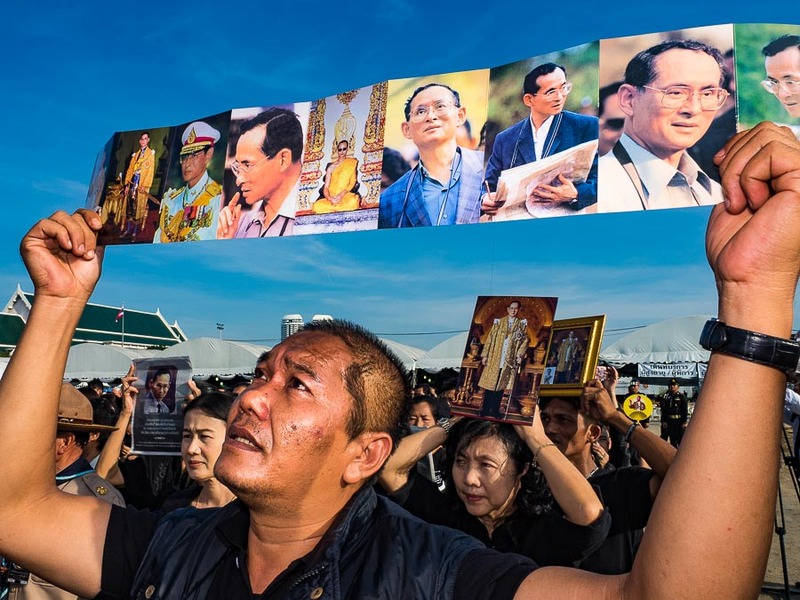 A man holds up photos of Bhumibol Adulyadej, the Late King of Thailand, during an oath taking ceremony to honor the late King at Sanam Luang Tuesday. 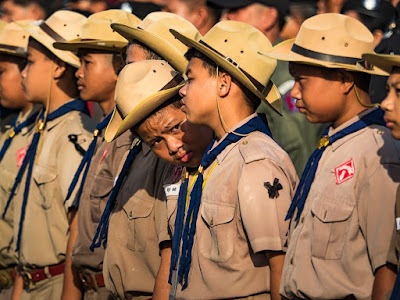 Hundreds of thousands of Thais across the Kingdom swore allegiance to the Chakri Dynasty during the ceremony, which was held simultaneously at government offices, schools and businesses. 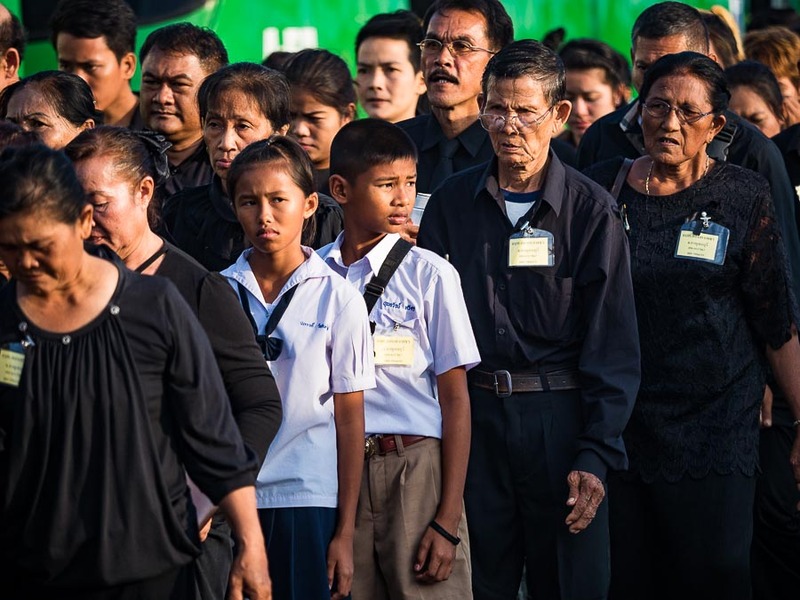 Mourning for Bhumibol Adulyadej, the Late King of Thailand, continues throughout Thailand. The 50th day of mourning an important milestone, will be on Dec 2. There will be large merit making ceremonies to mark the day. The National Legislative Assembly (Parliament) has been put on notice to be available for a special session next week. It's expected that HRH Crown Prince Maha Vajiralongkorn, the Heir Apparent to the Thai throne, will be named King during the special session of the NLA (the official agenda hasn't been announced yet). He will be known as Rama X (his father was Rama IX). Out of respect for Rama IX, the announcement next week is expected to be low key. The official coronation ceremony won't take place until after the Late King's cremation, expected to be in October 2017. People line up on Sanam Luang to go to the Grand Palace to pay respects to Rama IX. The ceremony Tuesday was to honor both the late King and soon to be named new King. In Bangkok, there were large ceremonies at Government House (the Prime Minister's office), City Hall, and the Grand Palace, but most of the attendees at those venues were government employees and civil servants. I went to Sanam Luang, the Royal Ceremonial ground near the palace, because I wanted to photograph regular Thais honoring their monarchy. Sanam Luang was crowded with mourners standing in queue to get into the Palace but hundreds of people either left the queue or came to Sanam Luang specifically to participate in the oath taking. The ceremony didn't last very long. It started at 8 with the people singing the national anthem, after that they swore allegiance to the Chakri Dynasty and then they sang the royal anthem. 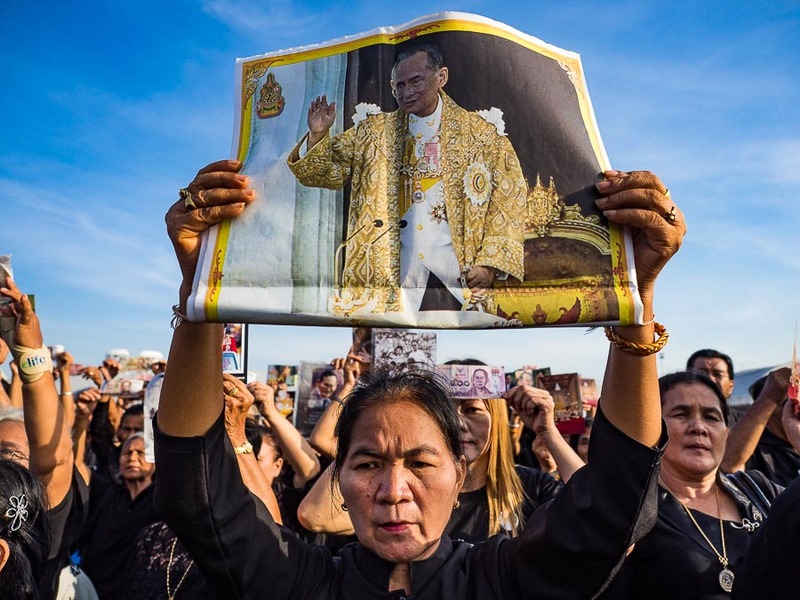 People at Sanam Luang held portraits of the Late King over their heads, some people held up Thai currency (the Late King is on the face of all Thai paper currency). The whole ceremony lasted about 15 minutes. Boy Scouts in formation before singing the National Anthem. There are more photos from the ceremony and photos related to the King's death in my archive.